MovieReview Blogger Template is a blogger template which takes the theme of the movies, with some images that related to the movies, this template looks so dynamic. This template has 2 columns and sidebar is located on the right side, some parts also add a little rounded corners and also added facebook and twitter icons on the header. 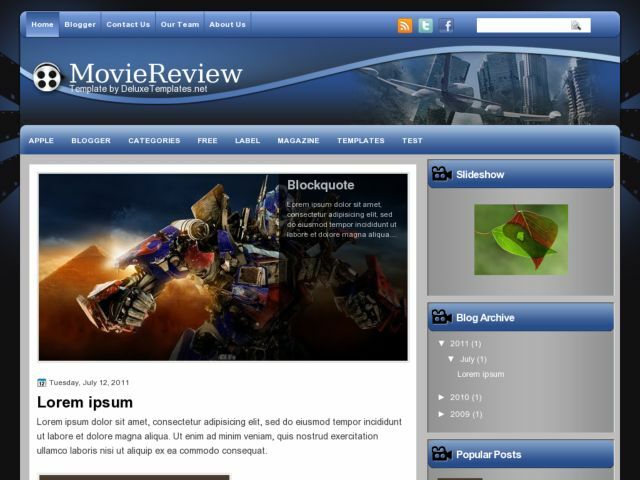 MovieReview Blogger Template is suitable for a blog that takes the theme of movies.